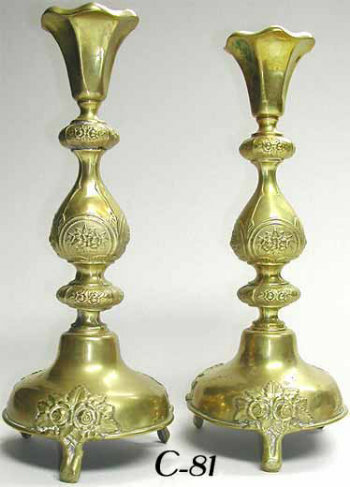 Pretty Sabbath Candlesticks made in Warsaw Poland, c. 1890s-1900. Marked. Foliate clusters adorn the domed, footed base. With foliated knops and decoration. The candleholders of petal form.